Imagine being able to print directly onto plastic, vinyl, acrylic, extruded PVC, expanded PVC, coated aluminum, brass and more. Now you can with the Direct Color Systems® printers, inks and ribbons! Our award-winning systems allow you to print directly onto many different mediums, to produce different products like phone cases, golf balls, acrylic awards, indoor and outdoor signage, employee name badges, desk name plates and much more. 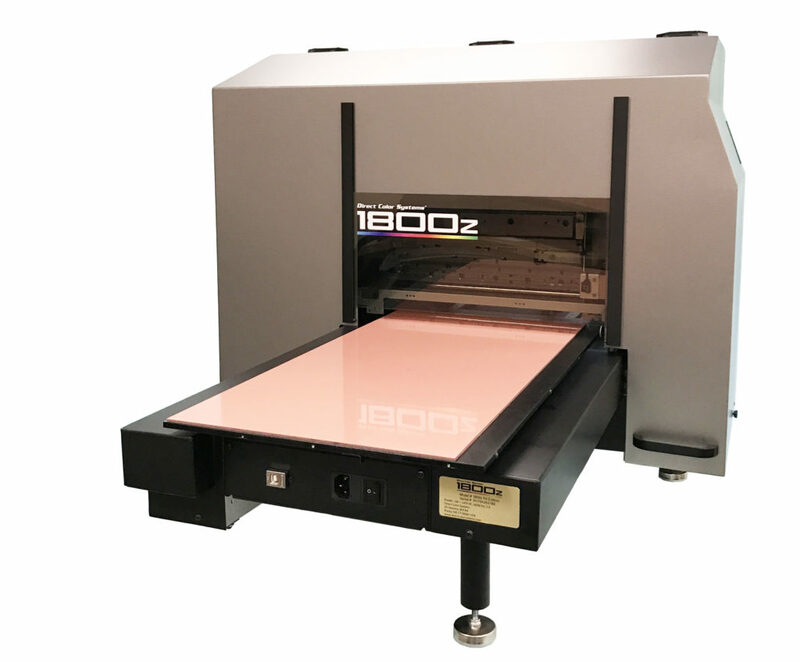 Our flatbed inkjet printers are an alternative to time-consuming engraving or screen-printing processes. Our printers produce brighter and more colorful results with more options. DCS's flatbed inkjet direct-to-substrate printers are ideal for digitally decorating everything from plastics, metals and wood to glass, acrylic and ceramic tiles – without the need for pre-coating or priming. Print high-quality, photo-realistic images, logos and text onto signage, promotional items and giveaways, packaging, plaques, mirrors, golf balls, CDs, injection-molded parts and much more. Our Direct Jet UV LED printers offer enhanced durability and solvent resistance and a more opaque white when paired with our UV LED inks.